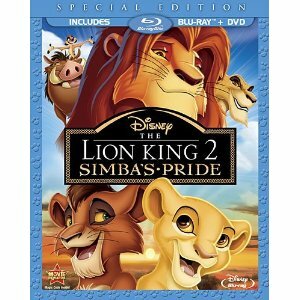 WorldMovieStore - The Lion King II Simba's Pride Special Edition Sinopsis. Another made-for-video sequel to a Disney masterpiece. As with the Beauty and the Beast and Pocahontas sequels, most of the recognizable vocal talents return, creating a worthwhile successor to the highest-grossing animated film ever. The leader, Zira (a spunky turn from Suzanne Pleshette), schemes to use her son Kovu (Jason Marsden) to destroy Simba. This all sounds familiar since all of Disney's straight-to-video sequels have played it very safe, nearly repeating the originals' story, tone, and pace. Zira's song of revenge, "My Lullaby," was cowritten by Buffy the Vampire Slayer creator Joss Whedon. --Doug Thomas. Read More Sinopsis. 0 Response to "Blu-ray Release The Lion King II Simba's Pride"